Niall joined the Compliance team in Beaufort in 2016. As the Advice Risk Manager, he is responsible for oversight and development of the advice process to ensure it both meets clients’ needs and regulatory expectations. He is also the Pension Transfer Specialist within the Beaufort team with responsibility for ensuring that all defined benefit (final salary) pension advice adheres to the very complex set of rules laid down in financial services regulation. Before joining Beaufort, Niall spent twenty years with Lloyds Bank, working in the UK Wealth Management and latterly the International Wealth Management divisions. Here he was Head of Training and Competence, with primary responsibility to ensure that all advisers, relationship managers and investment management colleagues were appropriately trained and qualified to meet the standards of knowledge and capability required by their local regulator. 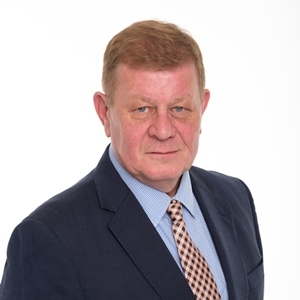 Prior to his service with Lloyds Bank, Niall has worked in the financial services industry as an adviser, risk manager and discretionary investment manager, and has accumulated over 35 years of industry experience. Niall is a Fellow of the Personal Finance Society, a Chartered Financial Planner and a Chartered Associate of the London Institute of Banking and Finance. Outside work, Niall likes to travel, see the world and taste its rich and varied cuisines.